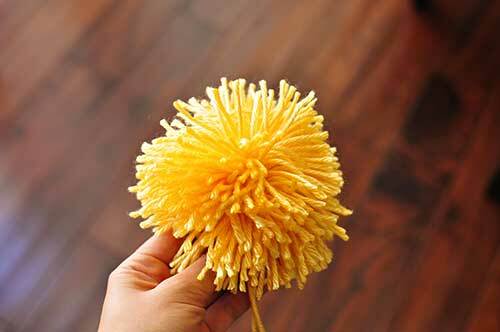 My mom taught me how to make yarn pom poms as a kid. It was always fun spinning the yarn around and around and the cutting the ends to form small balls. To make large pom poms you basically do the same thing but you have to spin the yarn around many more times. I used a 4 inch piece of cardboard and spun the yarn around about 200 times. 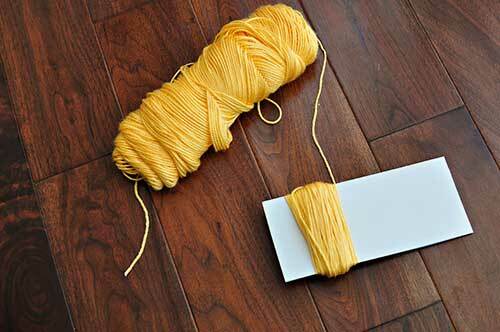 Carefully slide out the cardboard and tie the yarn in the center tightly. 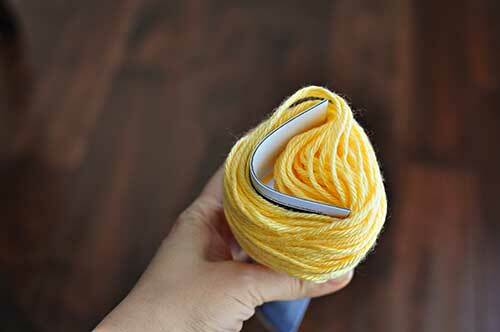 Cut the two ends of the yarn so that each piece is no longer looped around. 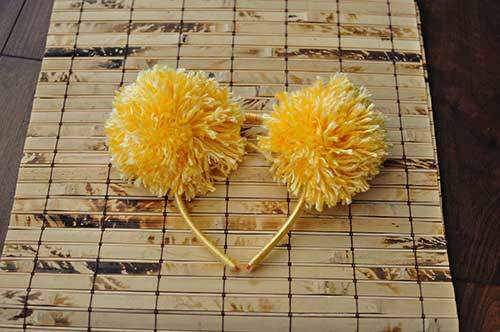 The pom pom may seem a bit floppy because it it large, so take a brush and brush the yarn gently. This will fluff the pom pom and add more volume. 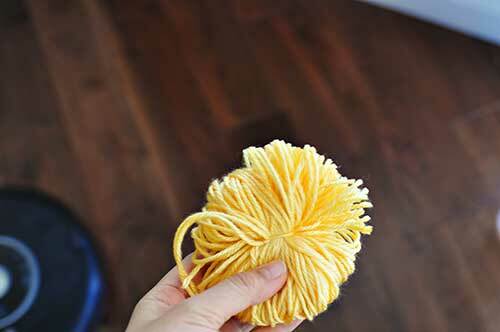 Alternatively you can put the pom pom in the dryer (but you have to be careful that you tied the pom pom tight or else the yarn will come loose and there will be lots of cleaning up!). 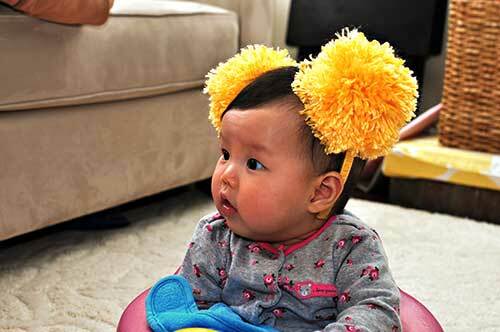 To attach the pom pom onto the headband I used a hot glue gun. You could also add felt on the underside to give it more stability. Instead of using a plastic headband you could crochet a headband like this. Wrap cardboard with yarn around 200 times. This large pom pom is 4 inches in diameter. Slide out yarn carefully. I bent the cardboardso it will slip right off. The pom pom may look floppy. 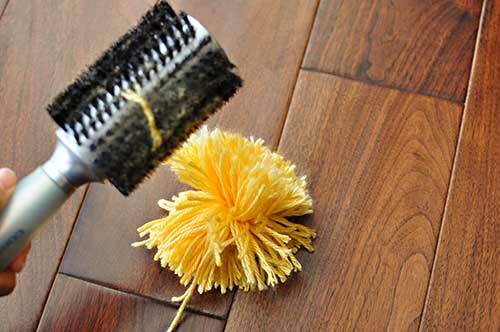 Use a hair brush and brush the pom pom to fluff. 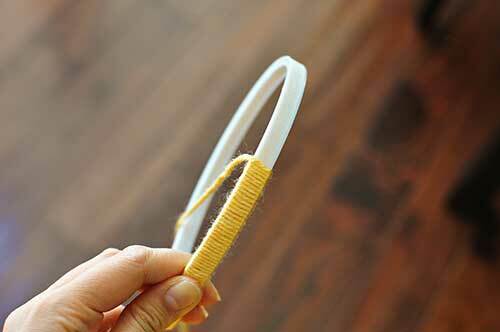 Wrap yarn around headband securing with hot glue. 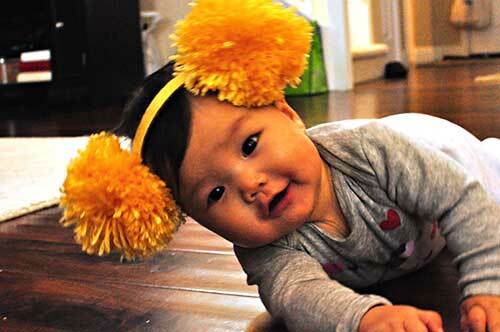 Make two pom poms and attach to headband. My little munchkin with her headband. Well.. So good point I think in this topic..
BadoQQ Agen Judi Online Poker,DominoQQ,Bandarqq,ceme Yans Sudah Bertahun"
Main game seru yukk.. hanya modal 20.000 bisa main 7 permaianan game dalam 1 user id hanya di www,mgmdomino,com yang bisa mengubah peruntunganmu !!! situs poker aman dan terpecaya mgmpoker88 situs aman dan terpecaya!
. I will be a frequent visitor for a long time.